Sometimes you just need a break. On the job you know you can perform better if you take breaks instead of pushing on to the point of exhaustion. It's the same with tatting, whether it's a huge project or some designing that's not working out. So for a change of pace, I worked a few of Jane's patterns. I admire her work so much. The top one is her recent Hummingbird. I experimented a little, trying to add a 3rd shuttle to make it in one pass. I wish the variegated thread in the tail showed up more, so maybe I'll try again later using the colors in a different order. The bottom one is the Inside Out Motif. The proportions of this one appealed to me from the first time I saw it. Funny how some patterns will just "speak to you." 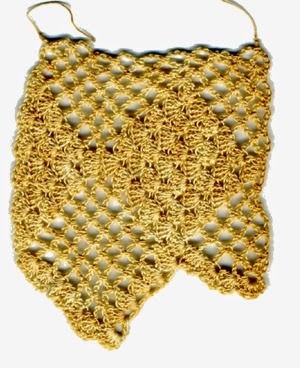 Don't you love the way Jane uses the lock stitch chain in many of her patterns? It's such a pretty effect. Someone asked me lately what I've been tatting lately. Well, not too much to show. I made a piece for the State Fair and forgot to take a picture of it. Then there was some design work, not ready for public consumption. Mostly the type where I tat the same thing over and over again, with the successive versions getting worse instead of better. 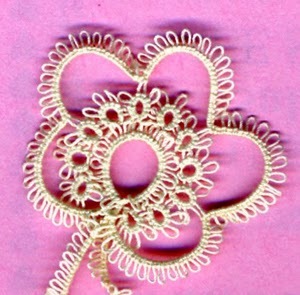 But then I remembered I hadn't shown any Palmetto tatting yet. This is Vicki Clark's Teapot Suncatcher. It was one of the class projects I admired the most. I couldn't take the class, but I got one of the kits and made it as soon as I got home. The scanner didn't do justice to the big crystal bead in the center. These are the projects from the open classes at night. You can see Jane's Key to Success, and Sharren's Ringo the Dragonfly. That one used lots of different techniques. You can see one of my rings got a little wonky. 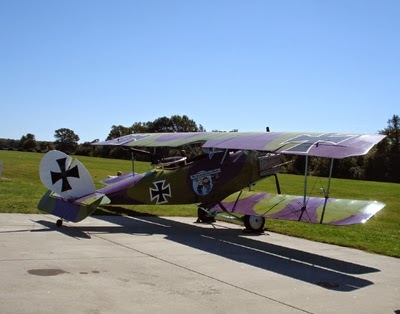 DH is an aficionado of such things, but my knowledge of World War I aircraft is pretty much limited to the names Sopwith Camel and Fokker Triplane from the Snoopy and the Red Baron comics. 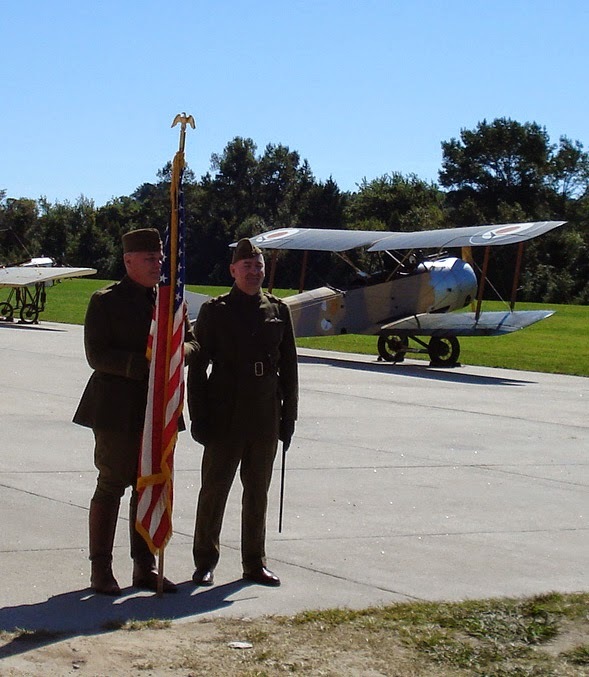 That didn't stop me from having a fine time at the recent "Biplanes and Triplanes WWI Airshow" at the Military Aviation Museum in Virginia Beach. 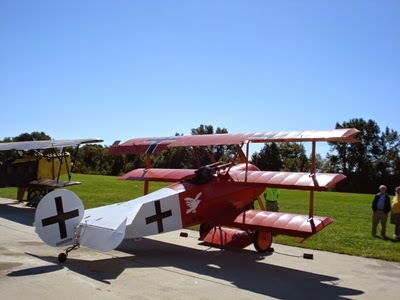 The museum hosts a large WWII airshow every May, and has a WWI show every two years. 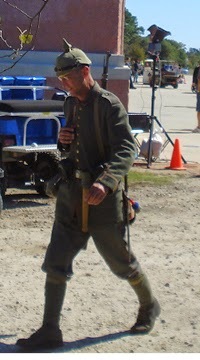 ...and there are always some people in period dress. 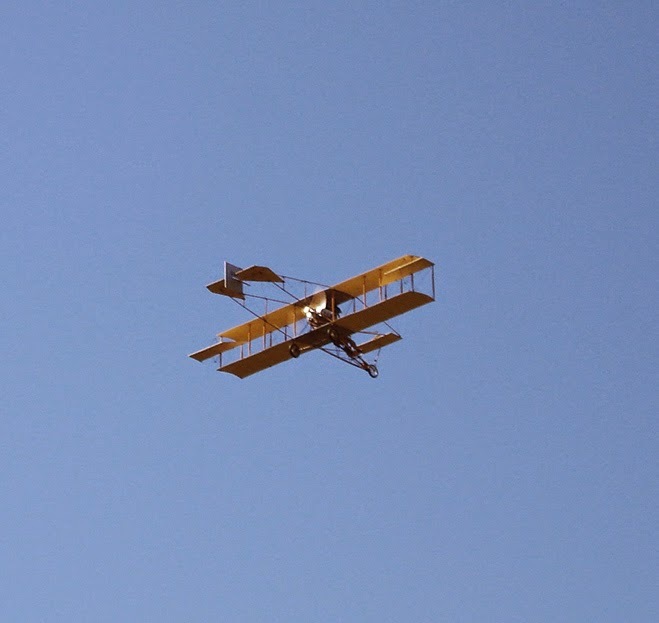 The announcers always keep up an informative and entertaining commentary while the planes fly. 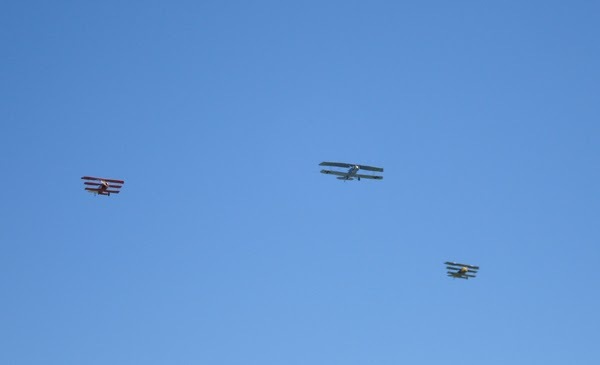 There were often 3 or 4 planes flying together for a great visual show. Oops, I forgot to post more Palmetto picture earlier. Here are a few more. I was going to show some of the projects I made, but I still haven't gotten them scanned. Better some pictures now than waiting for whenever that gets done. Here are Randy and Karen. More friends just having fun. That's Crazy Mom and Jane in front. 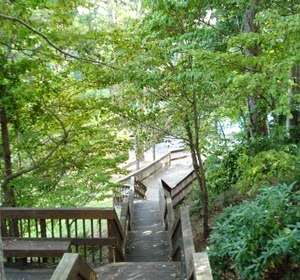 A walk down to the lake for a little peaceful reflective time. Well, I've been home from Palmetto Tat Days for a week now. 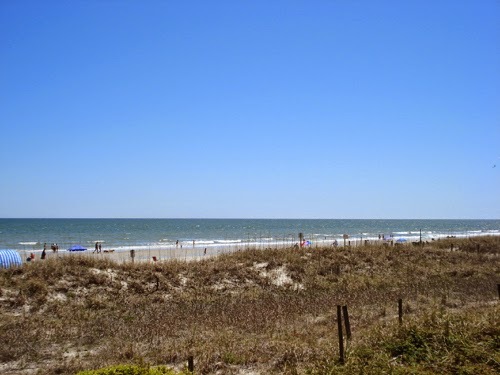 As usual, the Palmetto folks did a wonderful job taking care of us and providing a wonderful experience. Looking at my camera chip, I feel like I didn't take enough pictures. I was often enjoying the moment too much to remember to get out the camera. Here are a few of the highlights. We got to see the group project quilts up close. Everytime I looked, I noticed some new detail. 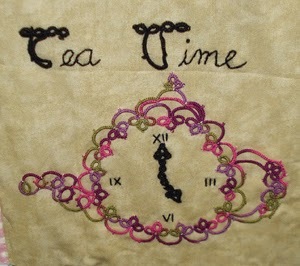 Isn't this clock teapot clever? And if you looked real close, you could see Georgia's picture in one of the squares. 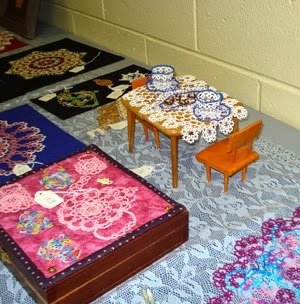 There were lots of wonderful pieces of tatting on display. This little tea party table was precious. In the center of the table are little dishes of candy to complete the Tatting, Tea, and Toffee theme. A friend of a friend of Georgia's asked her to find a good home for a vintage table cloth tatted by a deceased family member. It was raffled off to go home with someone who would appreciate it. Not me, darn. 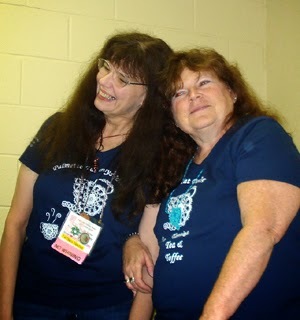 Here are Erin and Sherry up to some silliness, something that happens a lot. 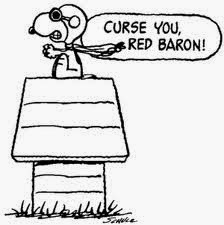 Another bit of silliness, well you just had to have been there for all the laughs. 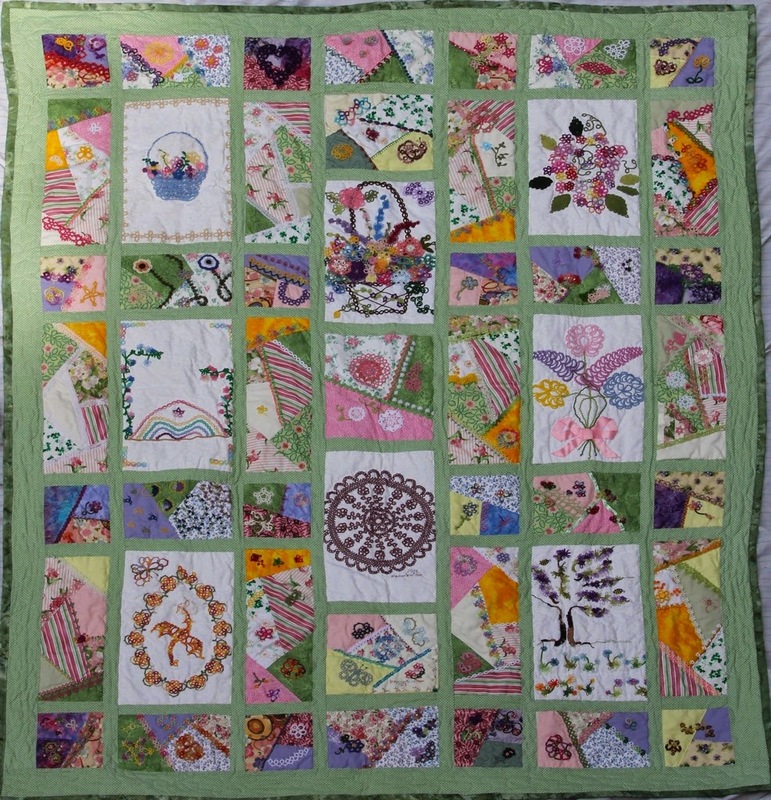 It's not too late to enter to win one of the quilts at Palmetto TatDays. Follow the link HERE for more information and pictures of all the quilts. 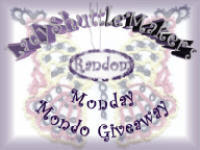 Each $5 donation (Paypal accepted) will enter you in the drawing. You do not need to be present to win, and they will mail them to the winners. Flower quilt: 51" x 64"
Teapot quilt: 64" x 64"
Wall hanging: 13.5" x 24"
It's like this.... Jane was showing off her latest baubles the other day, and my instant reaction was it looked like a fish. 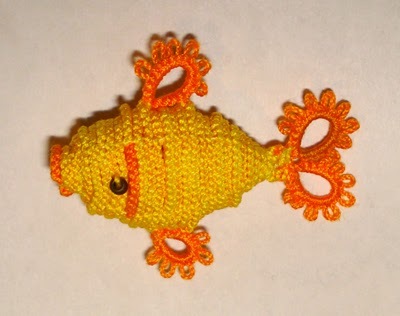 So I had to sit down and make a fish. It's not in Gary and Randy's book, but once you get the concept of the bauble, making up your own isn't hard. You may have notice I've been quiet lately. I took a break from tatting for a while when my brain needed a rest and I only felt like doing mindless things, like spinning. (Well, for me, working my drop spindle is pretty mindless, in a comforting, meditative kind of way, no offense meant to spinners.) Then, once spun, the yarn needs to be knitted. Yes, it does need; the skein calls out and whimpers until cast on. But now, the shawl is in its latter stages, and I'm back tatting again. And not too soon, with Tat-Days coming next week. I've been looking for my reading glasses for months now. I've got lots of reading glasses in different strengths, but the really strong pair in its pretty little sleeve has been missing for quite some time now. Time and again, I would shift and stir the piles on my desk to no avail. Eventually I realized they were in my roly-poly bag all along. It's amazing how much you can fit in those little bags Jane makes. In celebration, I decided to make something really small, what else but Gary and Randy's little mouse. 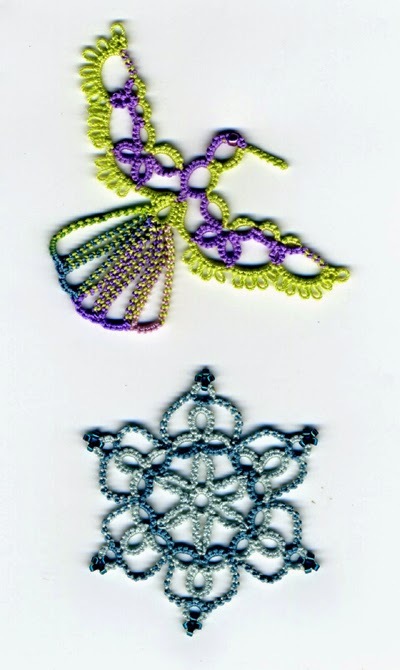 This is from their book Tatting GR8 Baubles, Bugs, and Blossoms, which Jane has been recommending with good cause. I can't keep up with all the new tatting books anymore, but I really enjoy the ones that are unusual or really special in some way, which this one certainly is. Besides the 3D pieces, there are also some advanced SCMR techniques I plan to master some day. I wasn't trying to make a cat. I was trying to design something quite different from a cat, in fact. But it continued to look like a cat despite my best efforts, so I decided to give it a new head and let it be a cat. Ch: 10. Cut and tie to base of head. I didn't really need this, since there are free downloads available from Georgia and the Antique Pattern Library. But I could not resist the lure of owning my own copy of a Riego original from 1867. The cover is printed with a bright shiny metallic gold, and not just printed, but embossed. Its condition is a bit battered, with some of the threads used to bind it broken or untied, and some corners dog-eared. 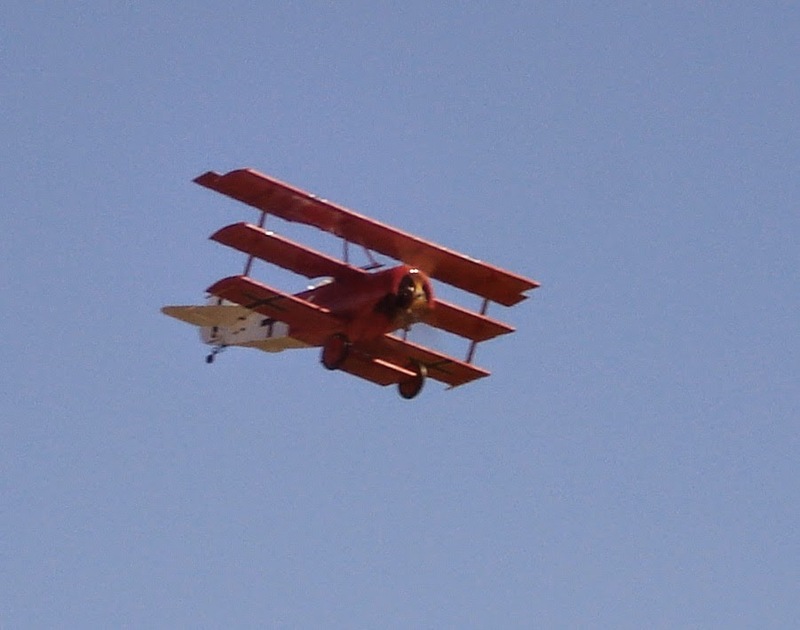 I like to think that is because it was loved and well used. This reminds me that I am way behind on creating the new website so I can get all my old free patterns and techniques back up again. Here is a link to this year's TatDays page, with lots of information. On that page, near the top are links to all the class projects, the schedule, and registration itself. I hope to see you there. All the thread ends are left loose, since I had planned to pull them to the back of the quilt block. 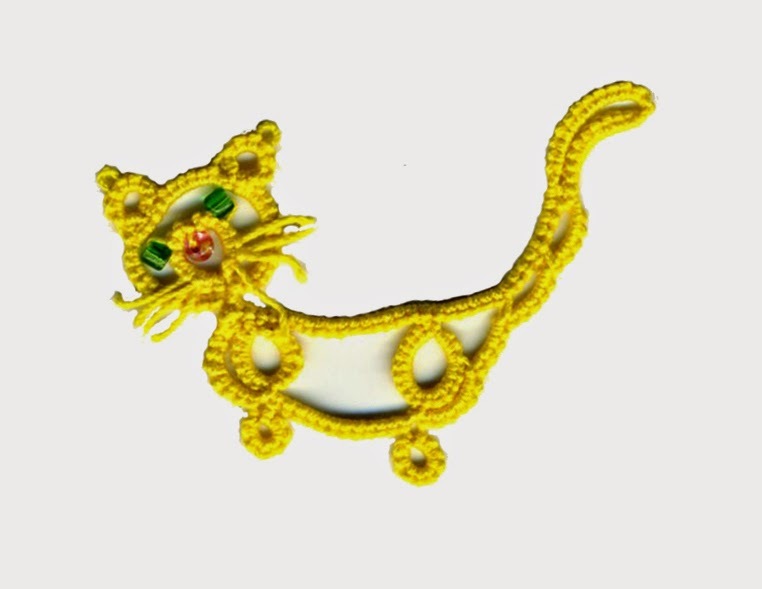 That's one of the nice things about tatting for applique projects. Here is my current vintage WIP. Can you recognize it yet? I hope I have the fortitude to finish. Working with size 100 thread periodically is good for the soul, if not the eyesight. 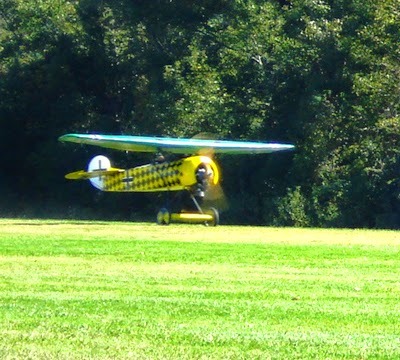 Meanwhile, registration for the Palmetto TatDays will open sometime soon. They've been adding more pictures and more information every few days, so keep checking back. While I stand by the things I said before, I wish I had said more, or moderated my tone. In my mind there is a difference between those copytatters who knowingly mean to do ill, and those who do it unknowingly, and they should be treated differently. People with the good intention of protecting copyrights can come down too hard on the latter group. I have been told that other crafting communities perceive tatters as an insular bunch, hostile to newcomers, and overly obsessed with copyright issues. We bring this on ourselves when we over react. My inbox tonight included a message from someone who was giving up on tatting after being made fearful of condemnation from an accidental misstep. 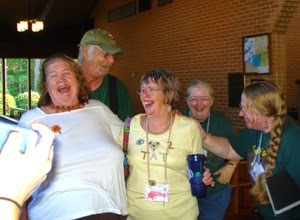 Tatters are also a very caring, generous group, but we sometimes scare people off before they see that side of us. There are those who knowingly, willfully copytat to take advantage of others' hard work without paying for it, and I have no tolerance for this. On the other hand, those who act out of ignorance like I did in my younger days can be redirected onto a better path without the need for frightening them or hurting their feelings. As a community, we need to uphold our standards of behavior by informing people as to what constitutes a problem and why, not threatening them for crossing a line they did not know existed. Imagine the fledgling tatter proudly showing off a new accomplishment, and being pounced on by half a dozen people saying she could be liable to legal action. Too much of this goes on, especially on Facebook. Someone who has done a little copytatting without realizing it is a problem needs to be enlightened, not threatened. If they have learned enough to be able to copy, they are on their way to becoming a proficient tatter, someone whose energies can be redirected into becoming a valued member of our community. If they acted in ignorance or misunderstanding, but meant no harm, we can work with them instead of attacking them. For the future strength of our craft, we need to be careful not to frighten people out of trying to develop their creativity. It is OK for them to be inspired by something they have seen if they aren't trying to mimic it too closely, so don't tell them they can be sued for making something that resembles anything else. Many basic designs have been re-invented again and again independently, so don't jump to a conclusion of plagiarism. If you think someone's copyright has been violated by copytatting, it is best to notify the injured party and let them deal with it. Failing that, state your concern tactfully, and listen to their response. Try to discuss without attacking. You can always toughen your response to a true offender if you find it justified. It is harder to get someone to come back into the fold if they have fled after being rained down upon with condemnations. Chastise the real wrong doers, but don't scare off potential new friends. Usually, I see other tatters only when I go to one of the tatting conferences. 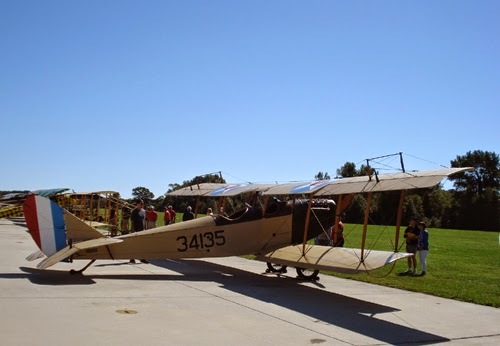 It was a real treat to have a real live tatter come to visit recently. 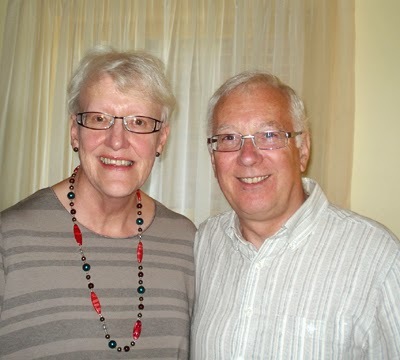 This is Marjorie and Graham, from Ireland. They were visiting family close by and came to see me too. 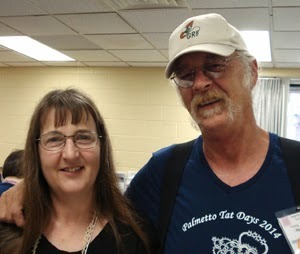 Our mutual friend, Tatskool, helped arrange getting together. 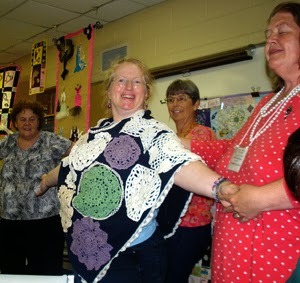 We had a lovely time talking about tatting and other things. 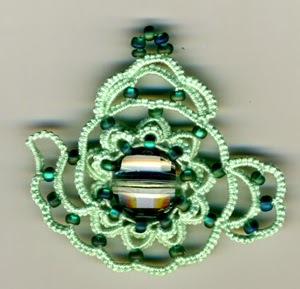 She has been working her way through Jon's "Elegant Tatting Gems" and showed me some of her very nice work. She surprised me with some gifts. What at first appeared to be a card with the Claddagh design is actually a piece of Carrickmacross lace, very light and delicate. 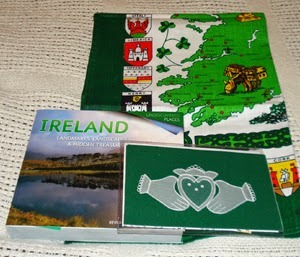 She brought me a book about Ireland and a map printed on a tea towel. I had never thought much about where in Ireland my friends lived. Now I can find them on the map. Tatskool sent some lovelies too. There is a celtic style bracelet with tons of beads, and 3 skeins of HDT. My camera couldn't do justice to the colors. One of these is called Bali Sunset. She hopes to feature it on her blog sometime soon. She was one of the first people I ever got HDT from, and the new colors are as wonderful as ever. First off, please read the whole thing. Second, do not quote from this out of context. OK? 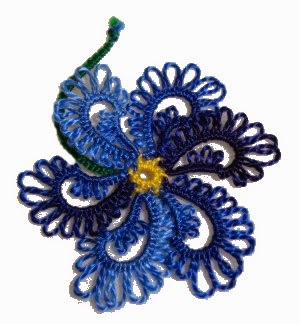 "Copytatting" is a newly coined word for working tatting from a photo or finished piece without the pattern. This is a valuable skill. 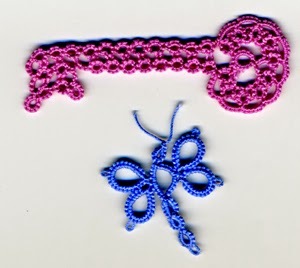 If you can do this, you have developed an understanding of how tatting is constructed. This skill is sometimes invaluable for figuring out patterns with poorly written directions, or for adapting patterns to make them easier to work by employing new techniques. For many, this is a step in learning how to design. But just because you have developed this skill does not mean you should always use it. A locksmith may know how to open various locks without keys, but shouldn't be doing it in the wrong situation. Just as locksmithing should not be used for burglary, copytatting morally should not be used for copyright infringement. When is copytatting NOT OK? If there is a published pattern that you do not have a copy of. Some people say it is OK to copytat for your own personal use, but this is rather like reading a magazine at the newsstand instead of buying a copy. Even if you are not getting income from your tatting, you are depriving the author of the income of a sale. If there is a picture available, but no pattern, and you have not received permission. 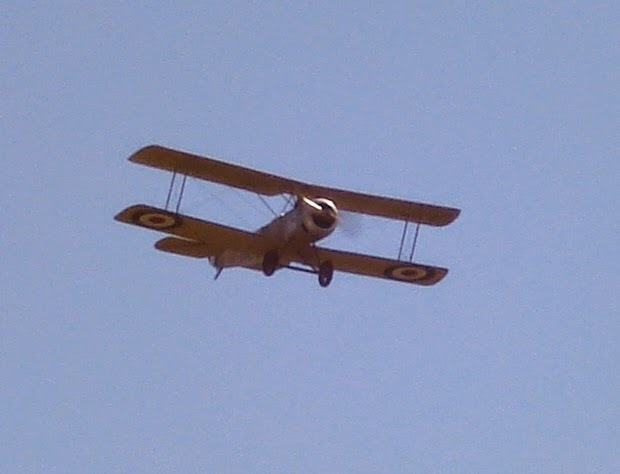 The original tatter who has published/posted a picture, but does not have a pattern available, may wish to produce and sell the pattern at a later date. They may want to be the only one selling items made from their designs, so making your own deprives them of a sale. They may wish to make or sell one-of-a-kind pieces, and unauthorized knockoffs could lessen the value of their work. You really, really want to work a pattern, but you can't afford to buy it. I actually see this rationalization online. Oh, come on. If you wanted something in a store and you couldn't afford it, would you just take it? Well, some people would, but it's not right. If you can't afford to buy patterns, that's too bad, but it's not a good excuse. There are more free patterns and public domain patterns posted online than a person could work in a lifetime, so go find some of those. Also, tatters tend to be very generous people. If you make friends, sometimes they will give you gifts you can't afford yourself. You can't find a copy of the pattern book. Just keep trying. Between ebay and used book sellers, you may get a copy later. Meanwhile, tat something else. 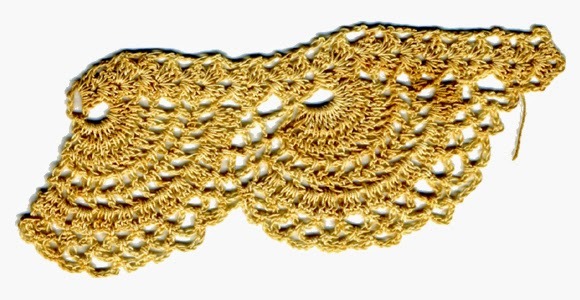 If there is a piece of vintage tatting, and a thorough search has been made and failed to discover any evidence the pattern was ever published. 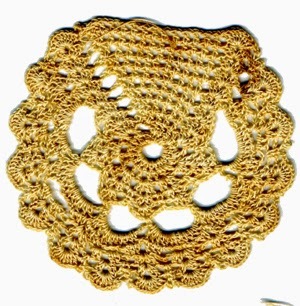 Example, Georgia's Mystery Doily. If there is no published pattern, and the designer is deceased, and the heir has given permission. 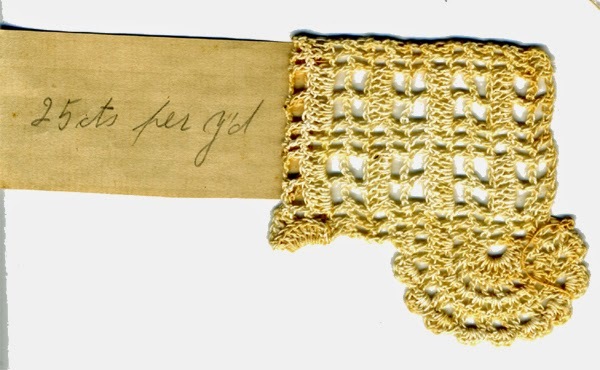 Example, Lucy Consistre's Rose Doily on Georgia's site. I once copytatted Elgiva Nichol's Rococo Heart, with the rationalization that there was no published pattern, and as the designer was deceased, she would not be losing any revenue. I did not ask anyone's permission. Was this acceptable? I don't know. This is a very grey area. Would I do it today? Probably not. I admit that in my younger (pre- and very early internet) days I did copytatting without thinking much about it. 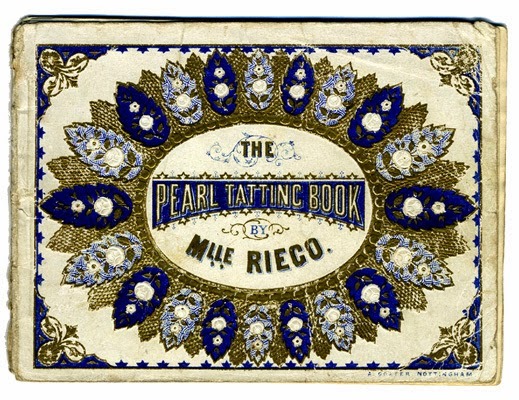 Tatting patterns were rare in those days, and I didn't know how to find books that weren't on the shelf at the bookstore. I was ignorant about the concept of copyright. I don't do it anymore. Nowadays, if you are online to read this, you have the ability to search and locate legitimate sources of patterns for purchase, and the ability to find countless free patterns. I didn't know any better then, but I do now. And if you have read this, or Jane's recent posts, so do you. 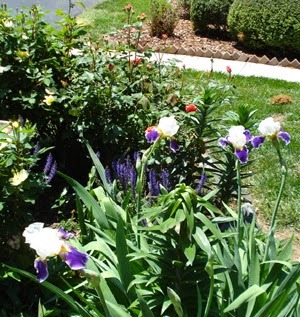 It was a harsher winter than usual, and some of my perennials did not survive. But still, most of the garden is there, and there continue to be surprises. 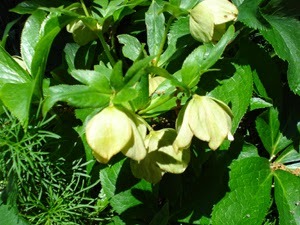 An unidentified bit of greenery I had been tolerating in the back yard has turned out to be a Lenten Rose, pale violet in the beginning, now fading to yellow. and the clematis on the trellis blooming all at once. Too bad the picture doesn't show them better. I was a little concerned about the gardern while I was away at the beach, but when I returned, everything was still alive, and the tomatoes were blooming. 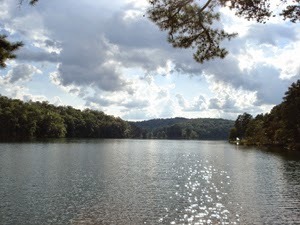 Time rushes on, and my blogging lags way behind real life. Here is a group of hearts I made when I was still in "heart mode" even after Valentine's Day. They are all in one scan together so you can judge the size. The first is "The Heart Within" by Frivole, (also known as La Cosette). 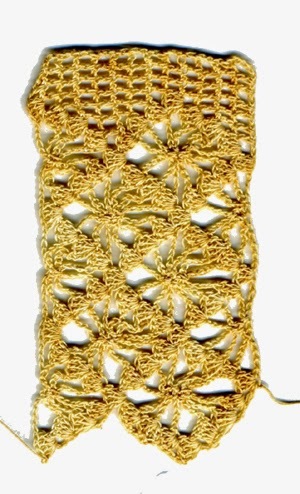 This delightful pattern has several variations and is available through her Etsy Shop. I do need to get around to doing the other versions. The second is the "Basket Heart" by Rosemarie Peel. 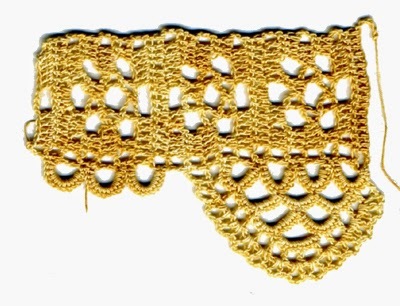 I have admired this pattern for years, but somehow not gotten around to tatting it until now. How many of you also have stacks of patterns printed out waiting to be worked someday? 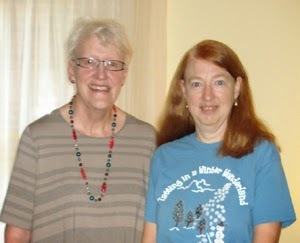 The is worked in King Tut quilting thread that I got from Deb Arnold at DS9 Designs. She says it is comparable to a size 100 cotton thread. It is one of the thinnest threads I have ever used, but it tats wonderfully. Number 3 is an old favorite I have done before, the Peacock Heart by Birgit Phelps. The fourth one is the "Ruffled Heart" by Vicki Clarke. I adore this pattern with its ruffled set stitches, though I have not done it justice here, with unequal tension in the long chains. The thread is a Valdani perle cotton, probably also from DS9. The final heart is another that I made for the first time, "Minnies Love" by Heather Johnston. It's a very nice pattern, too, don't you think? The threads not noted are are size 20, though I don't remember what kind. There were more heart patterns in my stack, but I get diverted to something else after this many. I'll get back to those someday. We went to the beach! I love walking on the beach, wading in the edge of the surf. 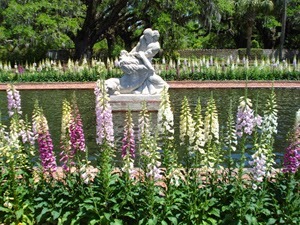 We took a day to go to Brookgreen Gardens. 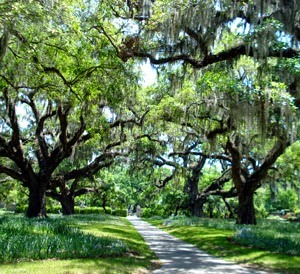 One area has beautiful gardens and sculpture and stately oak trees. 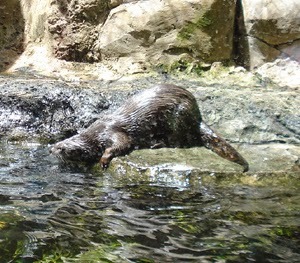 And the other end of the park has a natural area with playful otters, an aviary, and other wildlife. It was a great vacation. Back to regularly scheduled tatting sometime soon. 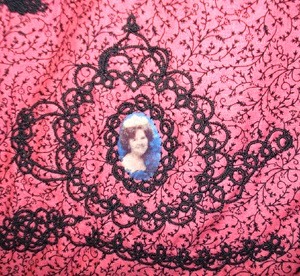 My sister came to visit, and had on loan for the day some dainty bits of lace. She thought they were tatting, but they are crochet, of course. This is very tiny, delicate work, which I would estimate used a size 13 or 14 steel hook. 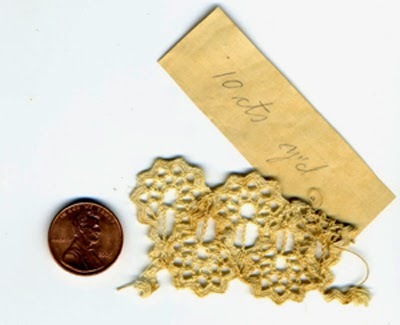 Here is a bit of rick-rack lace with a penny to show how tiny it is. These were made in the early 1900's by our great-grandfather's second wife. 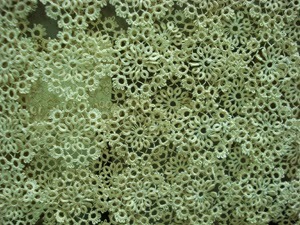 These were her display samples for taking orders to sell lace. the rick-rack edging above was 10 cents per yard, can you imagine! I am glad I got to see them. I recognize some of the patterns from antique publications, but I don't know if I have them all.